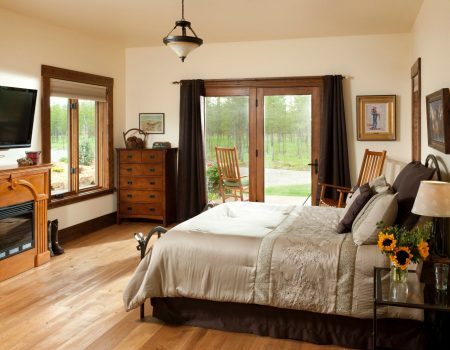 Best Bed & Breakfast in Montana. 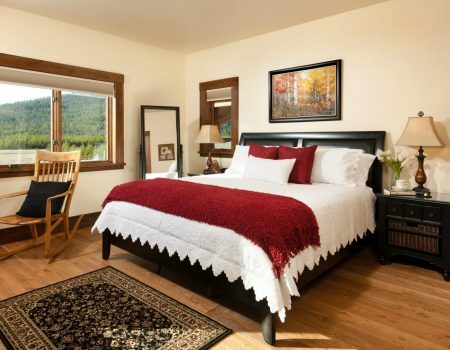 Our bed and breakfast is great for those who want to visit Glacier Park, Bitterroot Lake, Flathead Lake, Kalispell, Whitefish and so much more. See which room best suites you and book today! Delicious full breakfast. Each morning’s menu is different, and we are happy to take any dietary choices and restrictions into consideration as long as we are told in advance. Access to the library/ready room, which features a game table with poker and bumper pool. 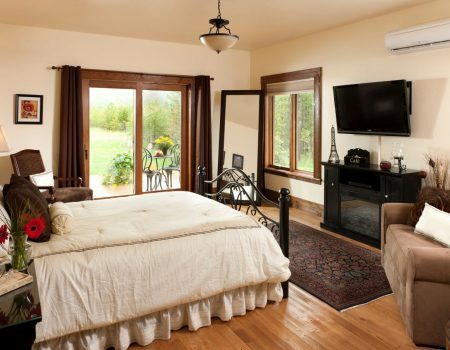 If you would like to book the entire Bed & Breakfast please call us for pricing. Check-in is anytime after 3pm. Check-out is at 11am. The price per room includes accommodation for two people. Each additional person is $25 extra. This is a sacred retreat for our guests, therefore we only accept kids that are 10 years and older, unless you have extenuating circumstances and have talked to Chet or Corynne in advanced. 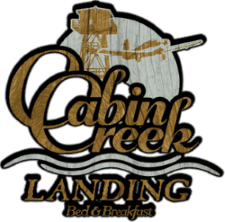 Cabin Creek Landing Bed & Breakfast is a smoke free environment. To make a reservation we require a deposit of a one night’s stay. If you cancel your reservation there is a $30 cancellation fee. If you cancel more than 14 days prior to arrival you will be refunded your deposit, less the cancellation fee. 1st time visitor ... will return - Great place! A hidden gem off the beaten path. So comfortable and a relaxed atmosphere. Definitely a luxury place to stay with awesome rooms, the most comfortable beds anywhere and great service. Cleaner than clean. Sits next to a quiet airfield. Didn't see one plane fly in the 2 days we stayed there. Perfect place for a newlywed couple to honeymoon for a couple of days. A Week To Remember! - We recently had the privilege of hosting our daughter's wedding here! We stayed the week before and everyone involved was treated like royalty. It is a GORGEOUS location with stunning views and the décor is so beautiful as well. The patios are a wonderful place to start and end the day. 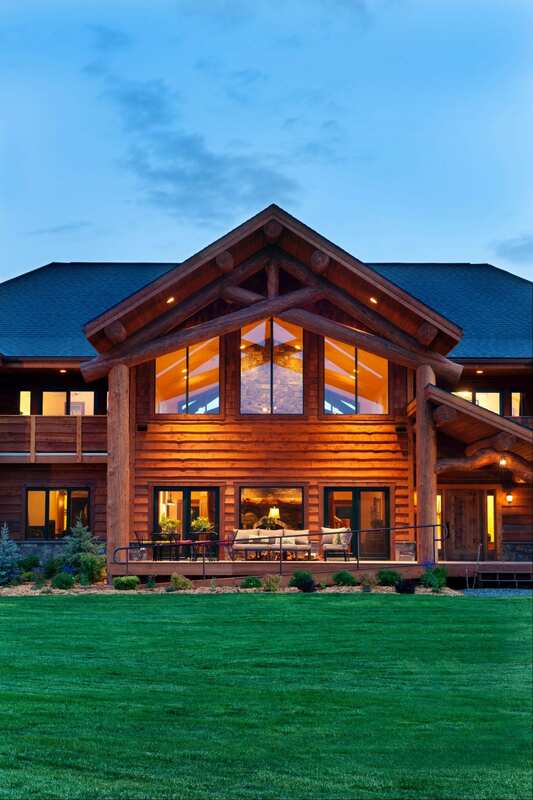 It is a short drive to Kalispell where you can find everything you need or day trips to Glacier, Big Fork or Whitefish. We can't recommend this location enough...for one night or for a big occasion like a wedding! Thank you so very much, Todd Family! Amazing work retreat - I love this place. Just an incredibly beautiful and friendly location, and a wonderful retreat for work. 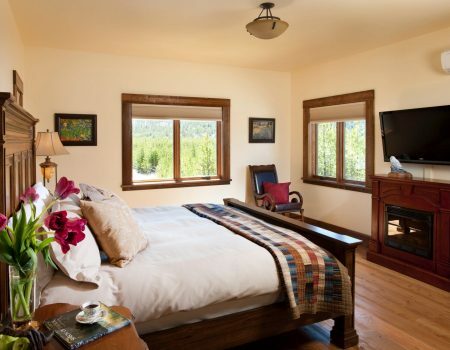 Comfortable and friendly, with great breakfasts, 24-hour coffee, and an ideal location far enough outside of town to feel isolated, but close enough for the occasional drive in if you want to check out adorable Kalispell. I didn't get to visit all the nearby nature, unfortunately, but I got to speak to some of the other guests and they were having a great time hiking and climbing and ATV-ing. Next time for sure! Paradise - Cabin Creek is absolutely gorgeous! My 3 aunts & myself stayed in a beautifully decorated suite for my nieces wedding and we had plenty of room! We were treated like queens staying in a palace! The views are breathtaking and sitting outside in the morning listening to the birds is a little slice of heaven. The wedding was absolutely beautiful and we couldn't have asked for a better location! Thank you so much to the Todd Family for making our dreams come true!